The Directors of Kenol Kobil have recommended that their shareholders accept a buyout offer from Rubis Energie as more details have been availed about the deal. Kenol is second largest in the country of 60 oil marketers. It has 13% market share boosted by 47% share in civil aviation. In retail, they have a 10% share behind Vivo/Shell and Total. Rubis is listed on the Paris Euronext Exchange. It has grown in 15 years by acquiring and managing companies and all its individual businesses are now profitable. SBG Securities have confirmed that Rubis have enough funds for the takeover. The offer is a 50% premium price and it is billed as offering shareholders a 100% cash return without broker charges. Rubis owns just under 24% of Kenol that it bought from Wells, on October 2018 at Kshs 15.3 per share. If it takes over the company before October 2019, it will pay Wells an equivalent of the difference that other shareholders are receiving over and above what Wells received. If Kenol announces any dividend now, an amount equivalent of the dividend shall be deducted from the amount due to be paid to any shareholder. Kenol shareholders can only accept the offer in full, not partially. Kenol can vary its offer up to 5 days before the closing date and any shareholder who had accepted will be deemed to have accepted the new terms. Rubis has received irrevocable undertakings from Tasmin Ltd with 4.2% and CEO David Ohana with 5.7% comprising 88 million shares he was granted in an ESOP in January 2017. The offer closes Feb 18, 2019, with results announced on March 12. Rubis reserves the right to extend the offer, with the approval of the CMA, but not beyond July 30, 2019. Shareholders, local and foreign, individual and corporate have been invited to register their interest in accepting the offer electronically on Rubis site – this takes care of an issue cited in the stalled Victus-Unga buyout in which no response was received from 8% of their shareholder), as either they did not receive their documents through their post office mailboxes in time or did not respond, perhaps because they hoped that a better offer for their Unga shares would materialize. If Rubis attains 90% support, they will force other shareholders to accept, and move on with delisting. If they gain 75% support but fall short of 90%, they may seek shareholder and regulatory approval to delist. Rubis will vote in favour of that and, if 75% approve and not more than 10% oppose it, they will proceed to delist Kenol. If it does not delist, it will remain listed until approvals are obtained or CMA asks the NSE to delist the shares. They caution that if Kenol is not delisted, after the conclusion of this deal, the remaining shareholders will find that the liquidity of their shares will go down, – noting that less than 0.06% shares traded each in a six month period prior to the deal announcement. This entry was posted in Kenol, M&A, NSE investor awareness, oil industry on January 13, 2019 by bankelele. A day after a huge block of shares of Kenol Kobil, exchanged hands on the Nairobi Securities Exchange (NSE), came an announcement that Rubis Énergie intended to buy out all the remaining shares and delist the company. Rubis had acquired 24.99% of Kenol from Wells Petroleum, at Kshs 15.30 per share on October 23, in a deal that was the highlight of the day at the NSE. The offer to other shareholders of Kenol, to buy the shares at Kshs 23 per share, a 53% premium, values the oil market leader in Kenya and the East Africa region, with 350 retail outlets, at Kshs 36 billion ($353 million). 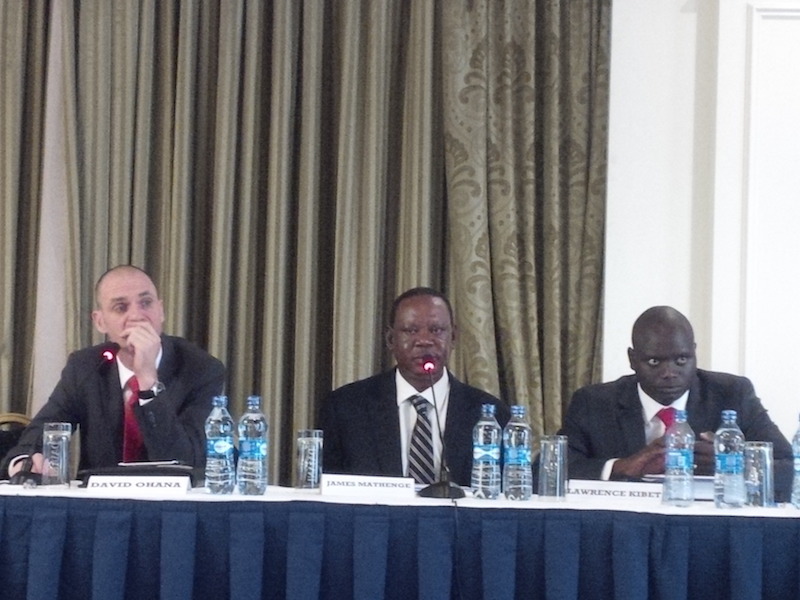 Making the announcement in Nairobi was the Rubis Energie CEO Christian Cochet and CFO Bruno Krief. French company Rubis operates over 50 subsidiaries and its downstream business had 2017 sales revenues of Euros 2.7 billion and net income of Euros 187 million while its midstream business has sales of Euros 895 million and net income of Euros 53 million. It is a subsidiary of Rubis SCA Group which is listed on the Euronext Paris stock exchange. The company which operates in Southern Africa, Western Africa, North Africa and islands off the continent, intends to appoint a majority of the board of directors and use Kenol to extend its reach in East Africa as a part of Rubis operations and development strategy through acquisitions which may mean lower dividend payments. If the deals succeeds, they will pay Wells an amount equal to the difference in the price they paid on October 23 and what other Kenol shareholders will get. Rubis intends to acquire the other 75% of the company in addition to new shares from Kenol CEO David Ohana who has already undertaken to sell the shares which were granted to him through the Kenol ESOP to Rubis. Once they get the approval of 90% of Kenol shareholders, they intend to delist the company and will move to trigger this once they get to over 75% of shares. The transaction advisors are Stanbic Bank Kenya and SBG Securities who also double up as the sponsoring broker and lead acceptance agent. However, a few hours after receiving a notice about the Rubis cash offer for Kenol, Kenya’s Capital Markets Authority announced that it was launching an investigation into suspicious trades in relation to the takeover transaction and asked Kenya’s Central Depository and Settlement Corporation to place a freeze on the suspected accounts. The Rubis deal comes a few years after Kenol tried to engineer a majority sale to Puma Energy and Kenol is also in the process of acquiring fuel stations in Rwanda land Uganda in two separate deals. Excerpts from the 2016 Kenol AGM of shareholders. This entry was posted in ESOP, Kenol, M&A, oil industry on October 25, 2018 by bankelele. Barclays of UK and South Africa’s Absa Group are in talks to merge their African operations – but this is not really new as the plan was set in motion six years ago. There’s no certainty the talks will lead to any deal, which wouldn’t be completed until 2013, the banks said in a statement. The combination would affect assets in Kenya, Botswana, Zambia, Tanzania and Ghana. Barclays, based in London, bought 54 percent of Absa in 2005 for $4.5 billion to expand in emerging markets. Absa dropped its original plan to buy the Barclays assets in 2008 after commodity-driven economic growth in Africa sent their earnings surging, making the businesses too expensive to acquire. Barclays revived the plan in April 2011, aiming to consolidate operations at Absa headquarters in Johannesburg and move other work to Dubai, but Barclays’ listed subsidiaries in Kenya and Botswana will be maintained. 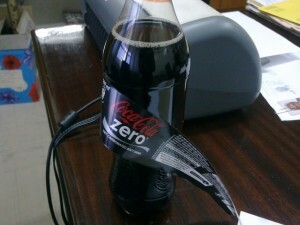 Coca Cola have prepared the Information Memorandum (with D Capital Partners, UK) to persuade local coca cola shareholders to buy into the deal that will see their shareholding in three local bottlers – Mount Kenya Bottlers, Rift Valley Bottlers and Kisii Bottlers merged into a new holding company called Almasi. Coca Cola dominates the non alcoholic beverage in Kenya with a 78% market share, leaving EABL, Kevian, Del Monte, Excel with 2-4% each. The global giant has 6 bottling licensing agreements in Kenya with Coastal, Equator, Rift Valley, Mount Kenya, Kisii and Nairobi – which itself was boosted by earlier partnership deals ( with Flamingo Bottlers and East Kenya Bottlers Limited). The three bottlers each which each sell about 9% of cokes cases, will become Coke’s second largest after Nairobi with about 28% of sales. 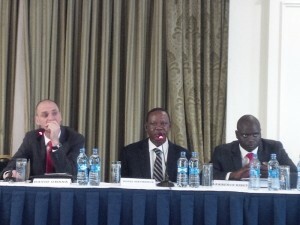 Mt Kenya has 2011 sales of about $29 million, Rift Valley $21 million and Kisii $18 million, with Mt. Kenya and Rift both having after tax profits of ~$1.3 million. A nominal shareholding of 20,000 (1,000 shares of par 20) in each, will be worth Kshs 80,000 (11,400 new shares) for Kisii Bottler shareholders, Kshs 526,000 (75,000 shares) for Mount Kenya Bottler and Kshs 112,000 (16,000 shares) for Rift Valley Bottler shareholders. The IM also dangles a carrot that, Almasi could one day be a listed company. Haco boost? – Tiger Brands which own 51% of Kenya’s Haco are now buying 63% of Dangote Flour Mills in Nigeria. Will Haco get a boost in the food business, exporting to Nigeria? 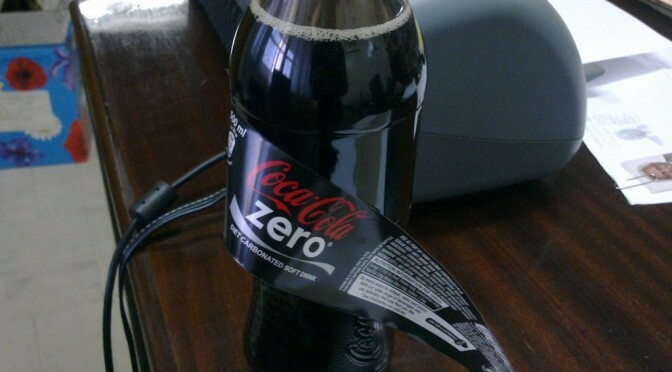 This entry was posted in Barclays, Coca Cola, emerging markets, Kenol, NSE investments on September 26, 2012 by bankelele. One year after the euphoria of a new constitution, the direction of the economy is uncertain as seen in the weakening Kenya shilling, tangles in implementation of the constitution, and rising food prices. It has been a year of some price controls in the fuel, and possibly in the food sector whose parliamentary price control bill was signed into law last week by the President. Communication: All Kenya’s mobile phone companies have call rates of about Kshs 3 shillings ($0.03) per minute to call across networks. It is unclear what will happen with call rates, as the smallest company in the market, Yu, launched free daytime phone calls, Airtel Kenya lost a CEO, and Safaricom has indicated that they may raise their call rates, as has happened in Uganda with MTN . The real battle is in data, where prices have not really dropped but companies are offering more speeds for less. The market here is divided between the companies with 3G (Orange & Safaricom) who compete on speed, and those without 3G(Airtel & Yu) who offer cheap internet rates of about Kshs 50 (~$0.5) per day for unlimited use. Another communication developments that, in a way, lower the cost of business include the launch last week at G-Kenya of GKBO, which encompasses free website creation tool, domain registration, and site hosting for small companies by Google in Kenya. Utilities: The bill on pre-paid electricity is still at about Kshs 2,000 ($21) per month, and getting about 30 – 35 units per buy via M-Pesa. However that is expected to go up after notice was issued for rates to go up 22% per kwh unit. So what alternatives are there? 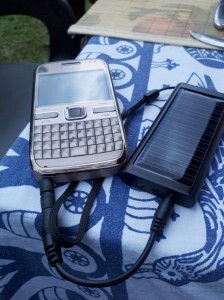 In a somewhat timely move, Samsung launched the NC215, a solar powered netbook laptop last week. It gives 1 hour of power for every 2 hours of charge in the sun, has a 15-hour battery life, and is able to charge other devices by USB even when it is off. Also got a gift of a solar phone charger (T2126 Hemera from Hirsch) that works quite well; it takes about 12 hours to charge in the Sun or 2 hours via USB, has a flash light and can charge a variety of phone models. 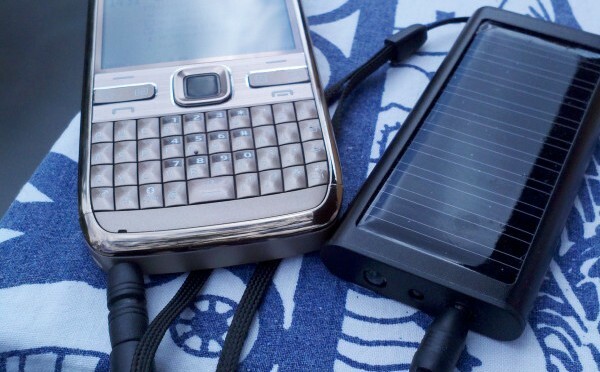 But when you look at the rapid advances in laptop batteries and cell phone batteries over the lasts decade, you get the feeling that there has been a lag in the pace of solar devices, and that more solar based solutions and advances should be emphasized. Fuel: A litre of petrol fuel, which is regulated by the Government, now costs 117.75 (~$5.6 per gallon) in Nairobi. Regulated fuel has proven to be more expensive than unregulated fuel, and while this can be attributed to the weaker shilling and fluctuating oil prices, the formula used to arrive at the price remains vague, and the limit on margins (stipulated buying and selling price of petrol, diesel, kerosene in each town) appears to have hurt small oil industry companies, more than large ones. However, among the listed companies, Kenol appears to have weathered the regulatory regime better than Total, by having diverse operations in other countries in East and Central Africa that remain unregulated. Staple Food: Maize flour, which is used to make Ugali that is eaten by a majority of Kenyans daily. A 2kg bag which cost Kshs. 80 six months ago, and Kshs 65 a year ago, is now Kshs 119, the highest it has been in the short history of this index. Other food item: Sugar : A 2 kg. Mumias pack which has hovered at about Kshs 200 for the last years, now costs Kshs. 385 (90% more than last year) and . The sugar sector has really gone full circle causing many to questions its relevance, recurring shortages shortage (why all factories close at the same month for maintenance), why sugar is grown in a food producing area and how many items we can consume without having to use sugar as a sweetener e.g. tea without sugar, or use of honey as a substitute. Foreign Exchange: 1 US$ equals Kshs 95.6 compared (now 96.8) to Kshs 80.8 a year ago (and 83 in June 2011) – a loss of almost 20% in a year. It’s unclear of this has been a concern to the Central Bank which has made other confusing policy moves as related to interest rates at a time of mounting government debt and their laxity has enabled banks to spot and take advantage of an arbitrage opportunities to trade with government money. Beer/Entertainment: A bottle of Tusker beer is Kshs 180 ($1.9) (at a local pub) a slight increase from compared to Kshs. 170 a year ago. However beer has become out of reach for many poorer Kenyan who have resorted to drinking unsafe local brews, which in some unfortunate cases have resulted in blindness or even death. This entry was posted in CBK, East African Community, Google, inflation trend in Kenya, Kenol, Kenya economic growth, Mumias Sugar, renewable energy, Samsung on September 21, 2011 by bankelele.